Please join us this Friday January 20th 11:00 til 1:00 to share your thoughts and feelings about the inauguration. Coffee and cake provided. 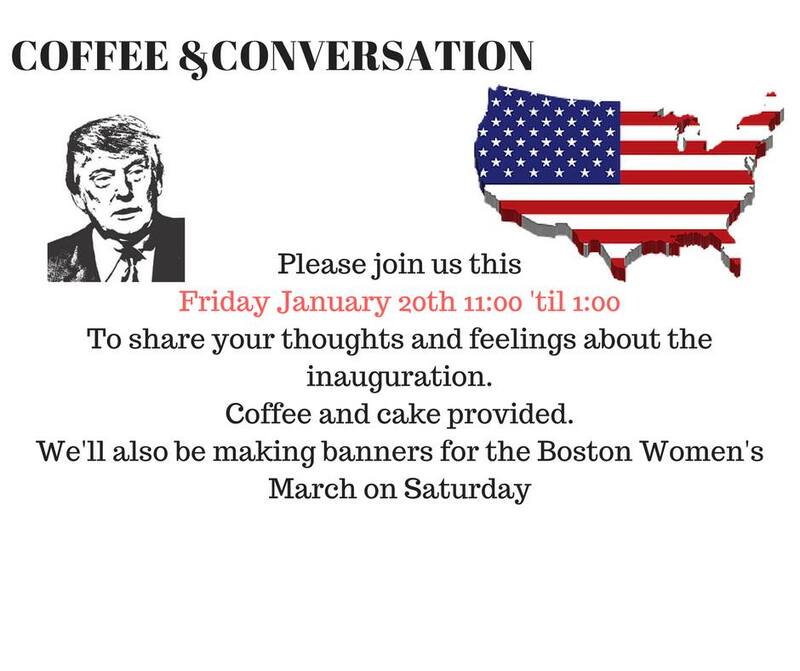 We’ll also be making banners for the Boston Women’s March on Saturday.